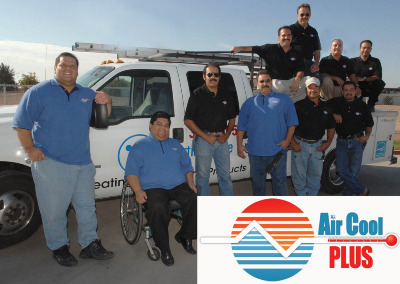 Air Cool Plus is an AC company that operates from two sites in the Imperial Valley area: Calexico and El Centro, CA. Here in the Imperial Valley it gets hot, real hot. Air Cool Plus has been helping to keep many of the area's businesses and homes cool for almost 30 years because of the type of work we do — quality. From the time this company started up in November of 1979, quality and efficiency have been our only goals. We are one of the fastest-growing HVAC companies in the Valley because our customers appreciate our high quality service and products. The service and professionalism at Air Cool Plus are superb because the good people that own this family company have worked diligently and invested heavily to make sure the staff is the very best in the Valley. Between our techs, installers and managers, we have over 140 years combined experience. We are one of the fastest-growing HVAC companies in the Valley because our customers appreciate our high quality service and products. The service and professionalism at Air Cool Plus are superb because the good people that own this family company have worked diligently and invested heavily to make sure the staff is the very best in the Valley. Between our techs, installers and managers, we have over 140 years combined experience. Sadly, you may know from experience that some businesses fall short of their promises to deliver a high-quality product as well as excellent customer service. Air Cool Plus (ACP) employees aren’t just here to pick up a pay check; they wake up every day wanting to deliver excellent products and services to their customers. Needless to say, people can get pretty skeptical when it comes to contractors and with good reason. But top to bottom our company is staffed with highly motivated people — we all love what we do and take a lot of pride in doing our job well. Every customer we visit is very important. The quality of our service and the efficiency with which we operate keep our customers coming back. Some of our customers have been using our services regularly for over 25 years. What keeps them coming back? One example: ACP installers know that they can’t simply upgrade a home’s AC and leave. They make sure system upgrades are carried out in accordance with all building codes and manufacturer specifications — even if that means sacrificing profits to make sure the job is done right. Our techs are also trained to fully test and inspect every system they repair to make sure our customers won’t have to go through the hassle of calling us time and time again. 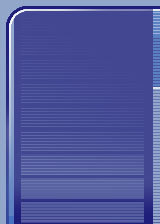 For several years ACP focused on commercial work and now have an entirely new division: Residential sales and service. We do everything people need for their home’s AC: maintenance service, repairs, AC system upgrades, custom sheet metal fabrication, and duct system upgrades. Click the "Services" tab to the left for a list of some of our Programs and Services. If you are not familiar with our company and your first contact with us is online: We would love to hear from you! Please let us know what your needs and questions are, we are more than happy to help.